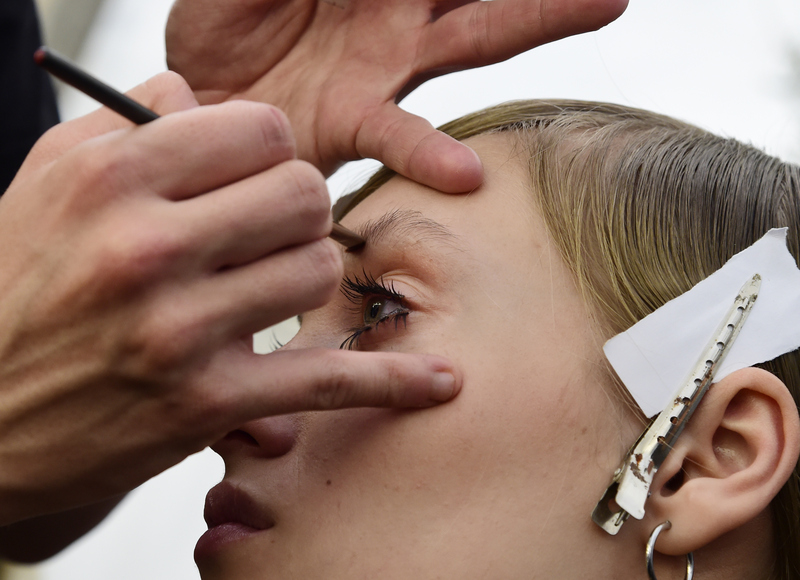 Getting brows on fleek is like the holy grail of facial and beauty endeavors. A few years ago nobody even knew what having brows "on fleek" meant. However, the one thing to never do when trying to groom your brows is actually one of the most common mistakes people make. So, what is it? Over-plucking. Sure, you want a neat brow shape, but it is possible to overdo it. However resilient those stray hairs might be, your brows might never grow back as far as you want them to should you get a little too tweezer-happy. There are products and serums to remedy hair growth, but who wants to go through that trouble? It's best to avoid having this problem in the first place. If you're uncertain about how much plucking is too much plucking, get your brows threaded or waxed by a professional the first few times instead of taking a more DIY approach. Even if you take certain steps like lining where you want your brows to arch or taper with pencil and a ruler, someone who treats brows for a living is much more likely to know what will work on your face and on your brows, so you may want to at least get some advice from an expert. If you were learning to groom your brows in the '90s and fear that you'll never recover, here are a few tips and tricks from beauty gurus who have been there to help all you poor plucked souls. Kat Schwarzenegger (yes, Arnold's daughter) recommends seeing a professional to have your brows shaped instead of going it alone. Sometimes shadow or powder can reach those crevices that gel or pencil formulas just can't! This YouTube beauty queen has been on here since 2009 and knows what she's talking about. Also, omg you can use coconut oil? Amazing! I swear, this girl uses every single product she owns to shape her brows. And they look incredible! Hopefully these tutorials help to remind you and I both not to grab those tweezers in the middle of drinking a Cabernet in front of a magnifying mirror!